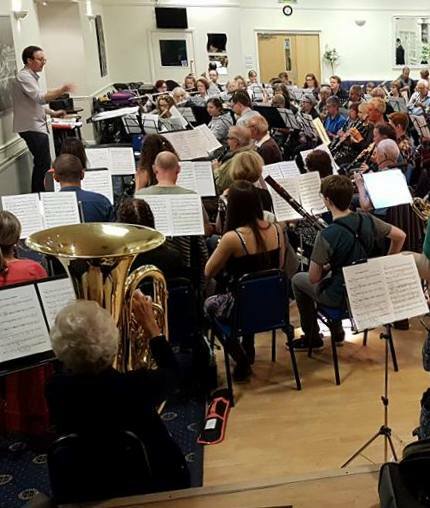 You will find us a friendly group who enjoy our weekly rehearsal for both the musical challenges and the company of other musicians. We offer a warm welcome to anyone interested in joining us. Rehearsals usually take place at Maghull Town Hall (Hall Lane, Maghull, L31 7BB) on Tuesday evenings, 7:30 to 9:15pm. There is no audition or fee, so you can just turn up with your instrument and a music stand. If you are age 11 and under, we do ask that you are accompanied by a responsible parent or guardian for all rehearsals and concerts.